Confessions of a Single Parent Pessimist: Easter Crafts! Chunk and his cousin Curly have been very busy this week getting their craft on for Easter! They have made some rather cute Easter cards for their nannies, aunties and of course yours truly, and they've also dabbled with making bunny specs! 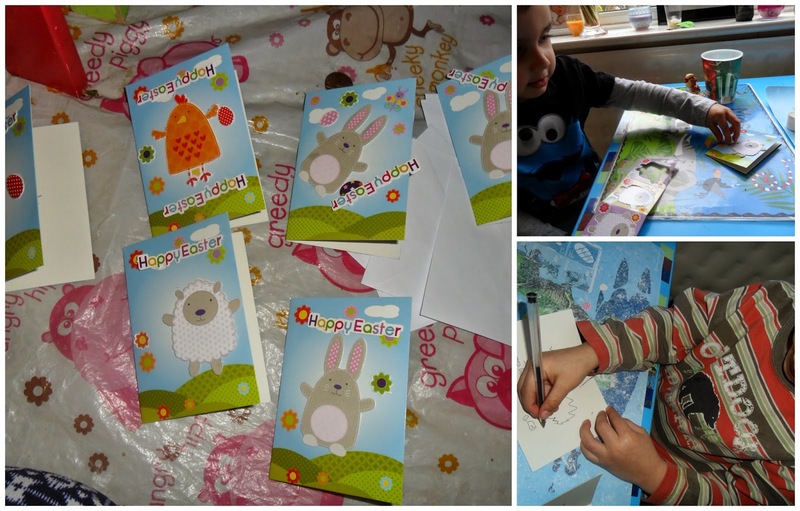 We used a couple of Easter crafting kits from Tesco, as they've got a huge range and most of it is currently half price! 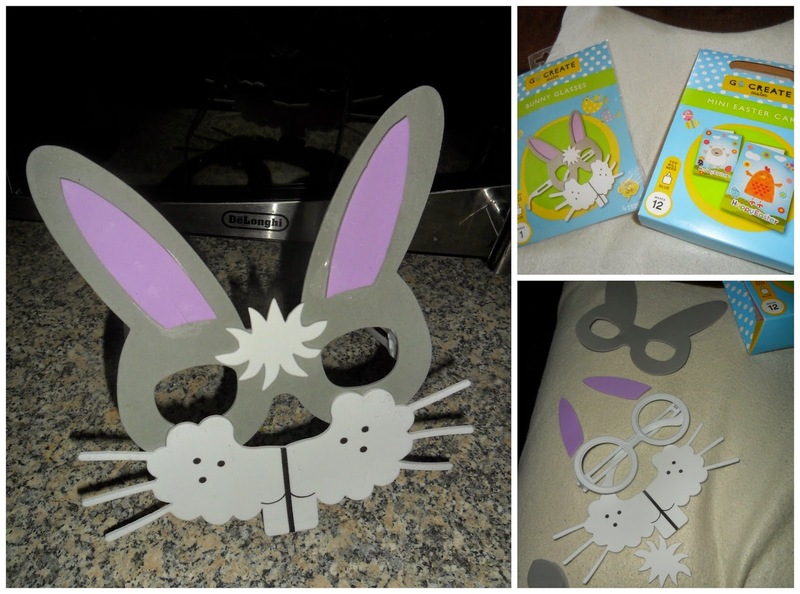 We chose the Mini Easter Cards set and Easter Bunny Glasses kits, which are perfect for my two three year old monsters. Thankfully both kits were really simple and came with picture instructions for the easily confused parents like me. Chunk and Curly spent ages picking out bits to stick onto their cards and then enjoyed adding their little signatures, or in Chunk's case pictures of dinosaurs. The bunny specs are so cute, and just involved using some PVA glue to put them together. I did most of this as my boys and PVA don't quite mix well at the moment, but they've had great fun wearing them and I may wear them myself when delivering their eggs this year! What Easter crafts have you been doing recently? We were provided with these kits to test for the purpose of this review. No payment was received and all opinions are honest and my own.